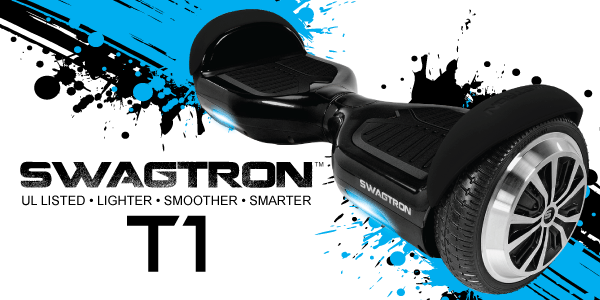 Swagtron T1 ushered in a brand new generation of hoverboards with enhanced double motors and innovative capabilities. The T1 immediately became one of the most popular, self-balancing private transporters. Deploying advanced gyroscopic technology that again totally revolutionized how that you travel, just the smallest shift of body weight...and you go! It's simple to operate, simple to control, and looks incredibly cool! The T1's roster to 8 mph with an 11 mile range with LED indicators to allow you to know how much battery is left. Environmentally friendly with zero emissions, the T1 became the norm for the Swagtron line. It is solidly constructed using the highest quality components and industry-leading safety features.